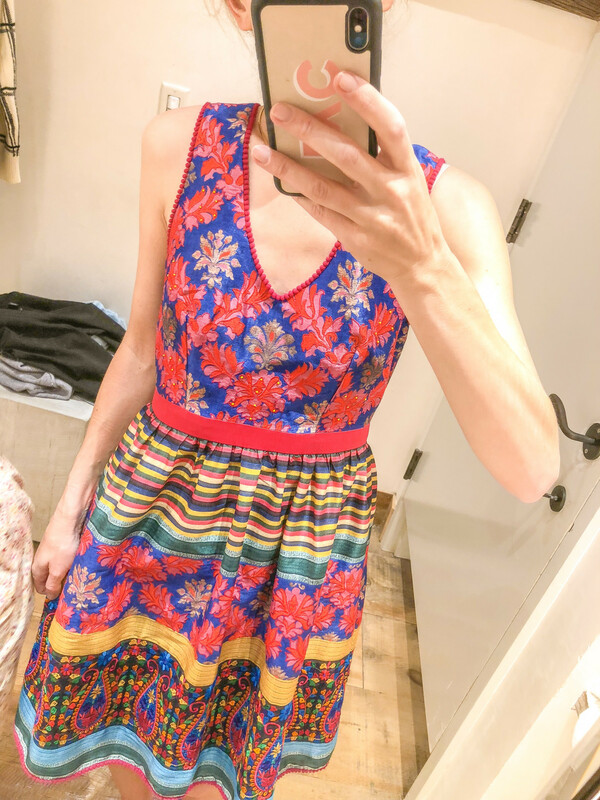 I’m so glad so many of y’all have found my recent dressing room try on sessions helpful. 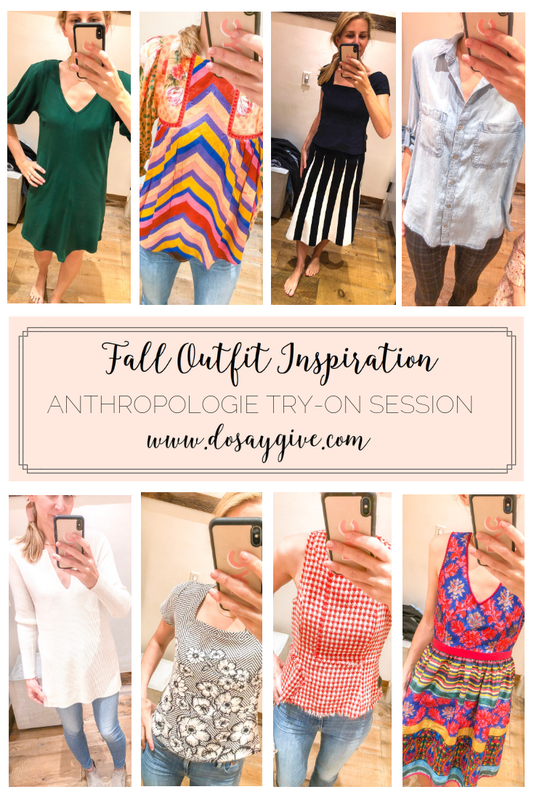 I think you’re really going to love some of my latest Anthropologie finds! 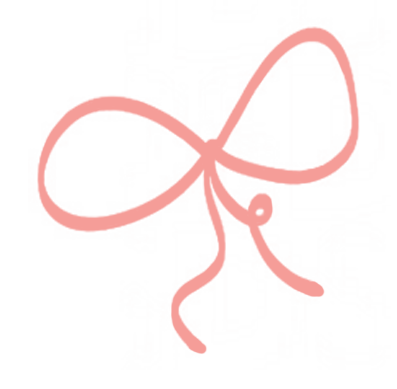 And, yay, Anthropologie temporarily marked some of these new fall items 40% off! 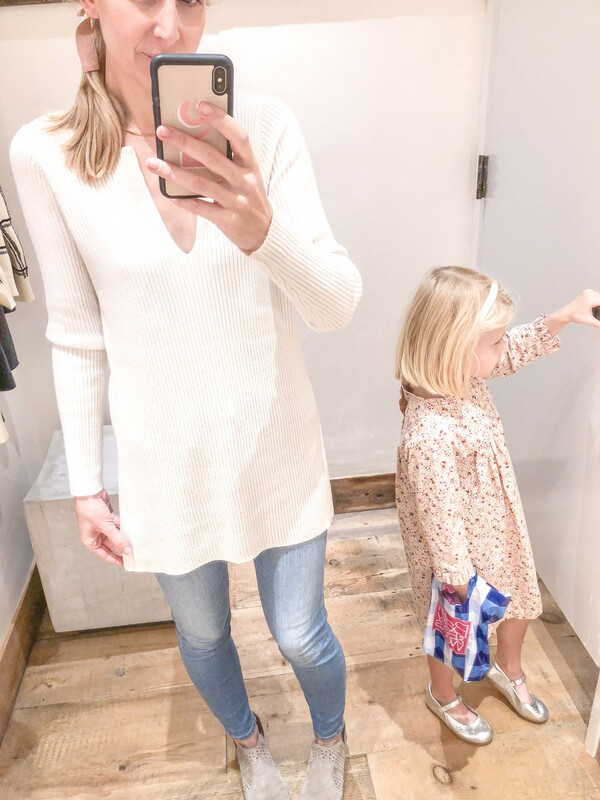 This Ivory Sweater Tunic was one of my favorites and it’s temporarily marked down 40% off! It runs big (this is a small) so you might want to size down although I like this small on me. It has slits on the side and feels so good. I am wearing my new J.Crew Lightwash Denim and these Gray Booties from Nordstrom. 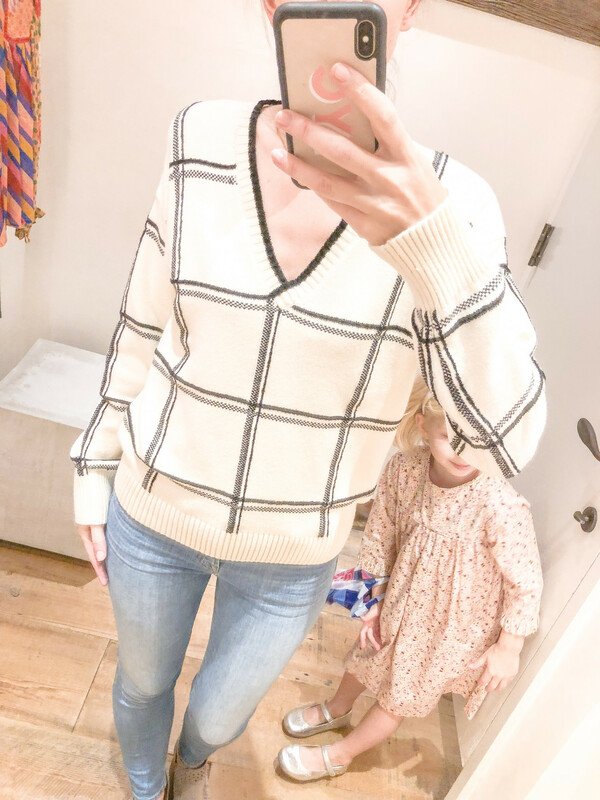 This sweater comes in four colors including gray and they are on sale (but not sure how long!). 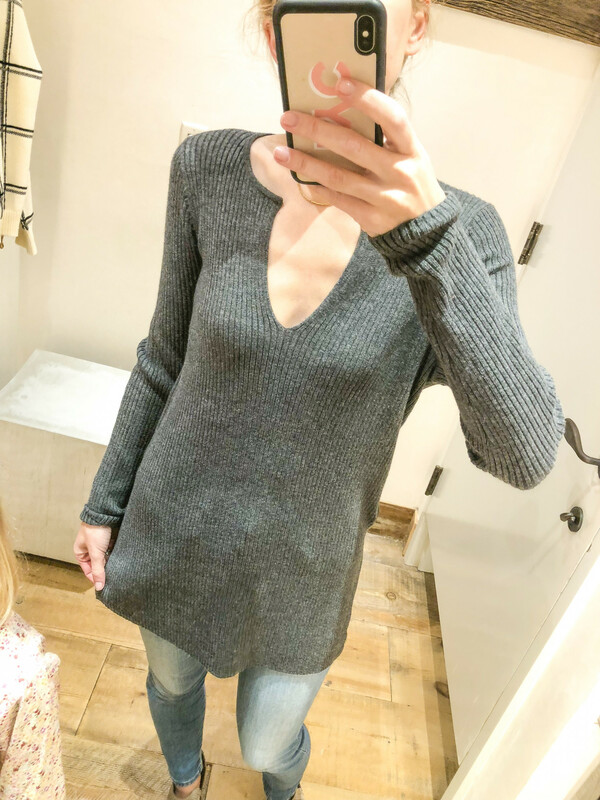 I loved this V-Neck Sweater! 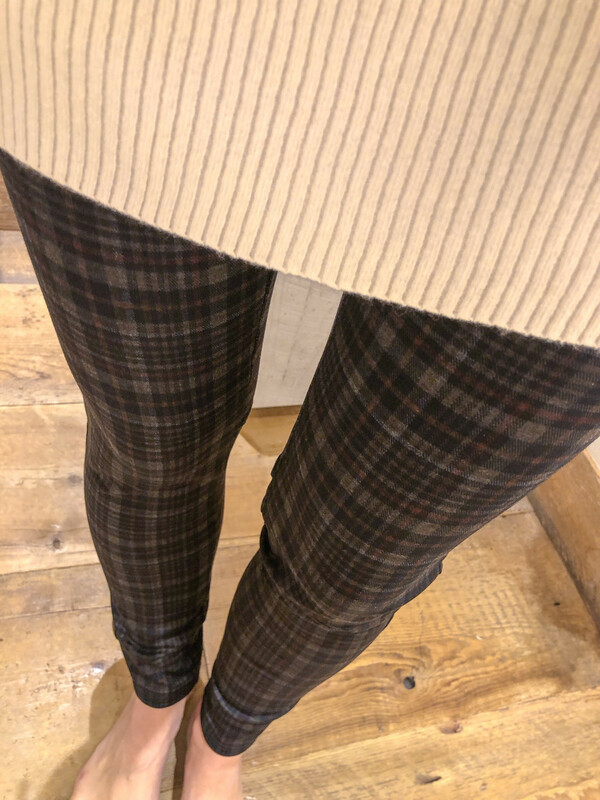 So cute with black denim or a cute black skirt and boots. Fits true to size; I am wearing a small. It is also part of this surprise fall sale at Anthro. 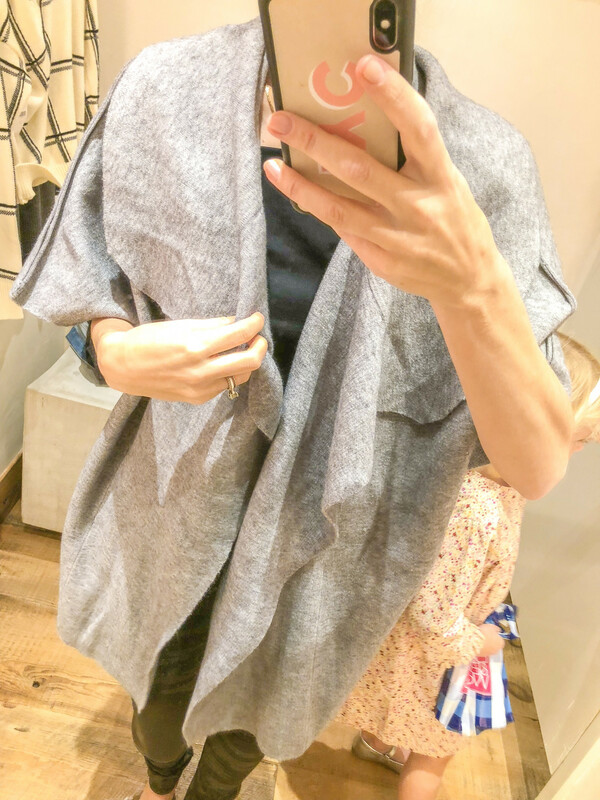 This cozy Gray Cardigan needs to be steamed but if you love that oversized look you will love this thick cardigan! 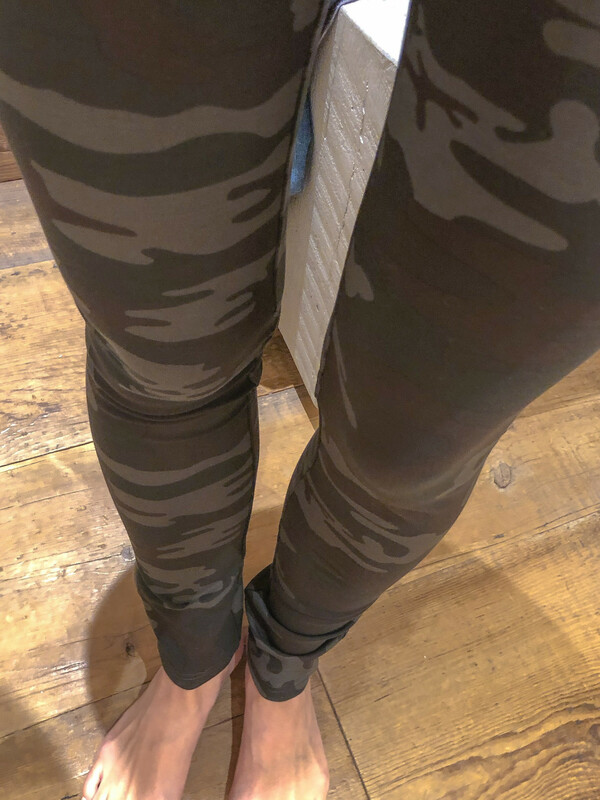 And how fun are these Camo Leggings? The size small fit me best and I am a size 4. 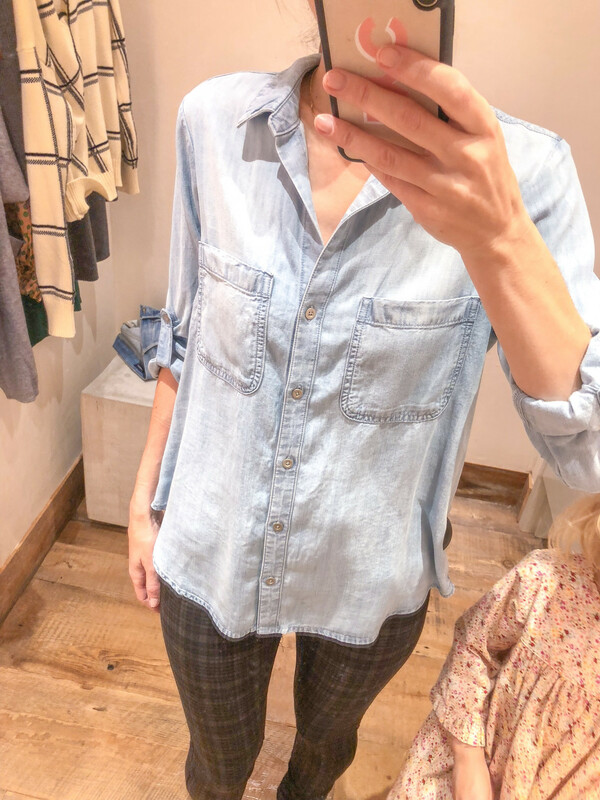 I came home with this Classic Chambray Buttondown. It is so smooth and a bit longer in the back if you want to leave tucked out. I am wearing a small. And these Leggings are the same brand as the camo ones above. So cute. 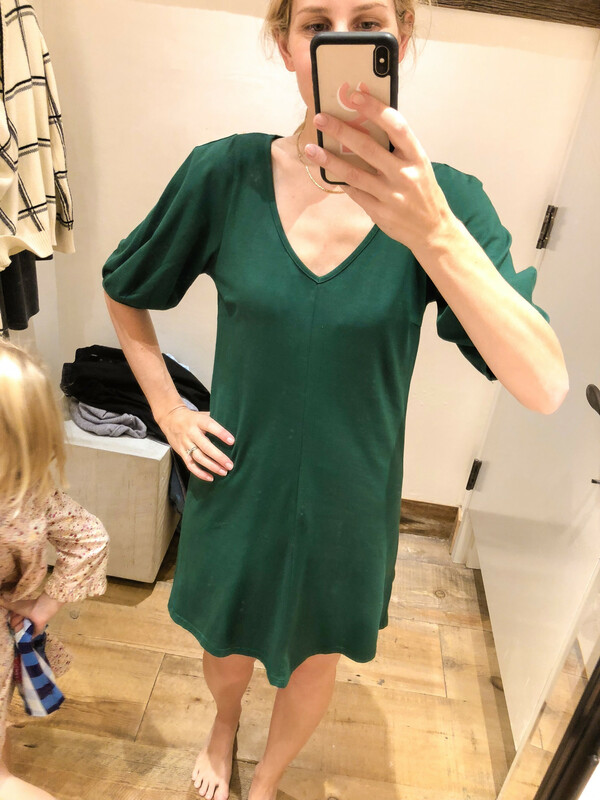 This Green Dress is so cute and on sale right now!! It’s a thicker t-shirt material. The black seems like it will fade quickly but the green is pretty.I am wearing a small. Runs a tad short on me (I’m 5’9). How cute is this Polka Dot Skirt?? 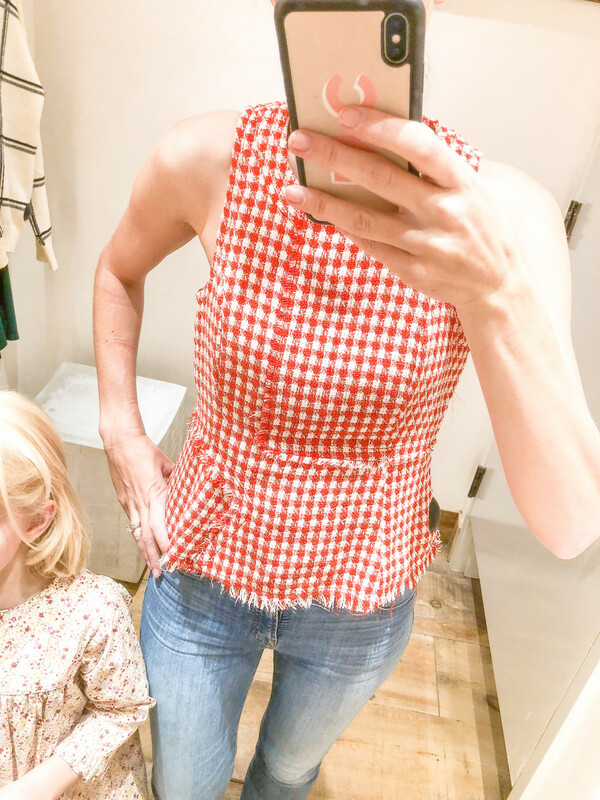 I paired it with this Cap Sleeve Top but you may have something at home that would go great with it. Definitely a statement skirt that I can’t get out of my head. I may need to order for an upcoming event! How gorgeous is this Floral Fit and Flare Dress?! So perfect for a cocktail party or wedding this fall and winter. The fabric is just beautiful! Runs generous; I am wearing a 2. 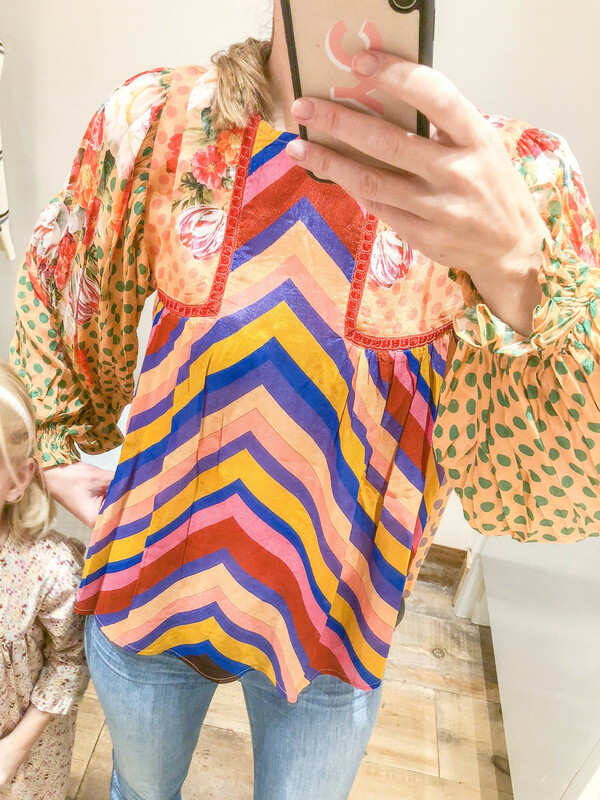 What do y’all think of this Multi-Colored Peasant Blouse? It’s really pretty in person. 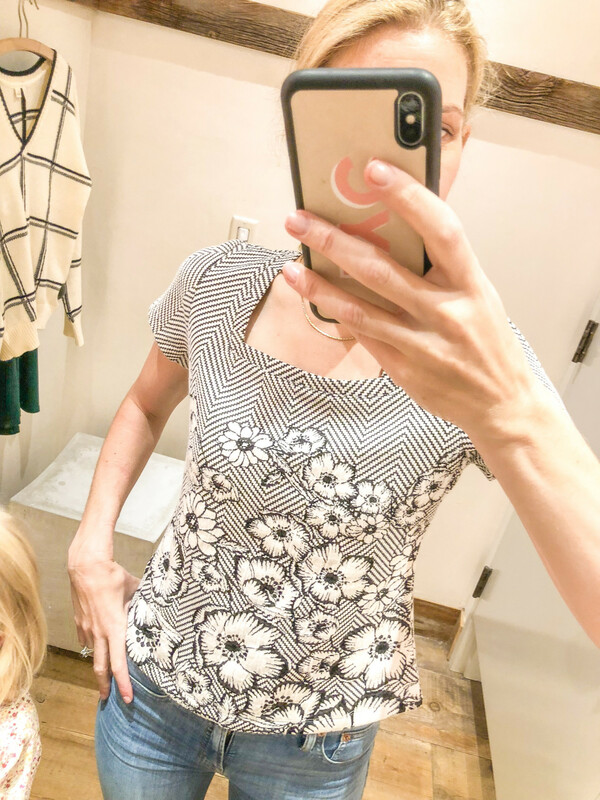 This Black and White Top would be cute for work with a pencil or peplum black skirt! Runs slim. I am wearing a small. I LOVED this Tweed Peplum Top. I am not a red person but really liked this top! So feminine. Fits true to size. See all of Antro’s fall markdowns here. 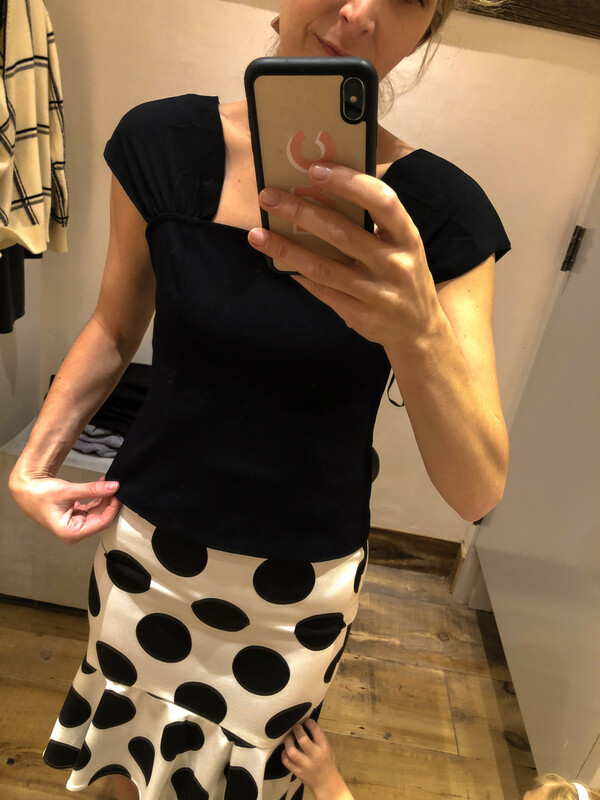 And don’t miss my fall Old Navy, J.Crew, and J.Crew Factory try on sessions, too!